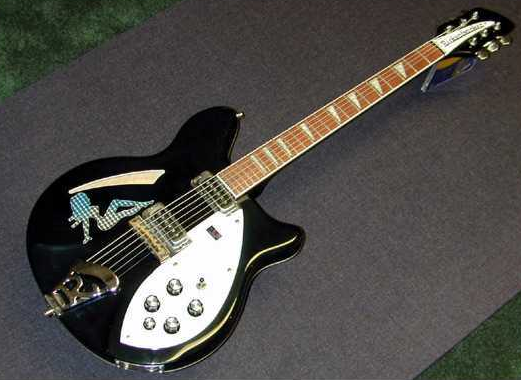 Since 1982, Peter Buck of REM has used a black Rickenbacker 360 to create his signature sound. "I've used my black 360 Rick on every record we've ever done, it's my main guitar; I bought it new, beat it up, splattered blood on it and now it's my guitar. You play a guitar for ten years and it's almost part of you." "When I first started playing I used to buy by color: what do you have in black guitars? They'd pull out five and I would pick one out. 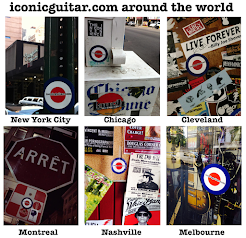 I was just lucky enough to stumble on the Rickenbacker." In 2008, the guitar was stolen after a concert in Helsinki, Finland. It was returned soon after, minus the strap.